Connor graduated from New College of Florida with a Bachelor’s Degree in Environmental Science. He served as a TA and hosted weekly study sessions as well as served as a research paper advisor. 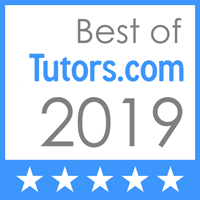 Conor tutors in a wide variety of subjects including: Mathematics (Geometry, Algebra, Pre-calculus, Calculus I, II and III), Chemistry (General Chemistry, Organic Chemistry), Biology, Physics (I and II) and English. Although he specializes in Math and Science, he is proficient in subjects such as Social Studies and English and can also help students develop the study skills necessary to succeed. Connor is dedicated to helping inspire your student find enjoyment in learning and reach their full academic potential.